Visitation will begin at Noon. With a journey that spanned times of war and times of peace, times of plenty and times of want, Kenneth Pratt lived a life of purpose while holding his loved ones near. He was deeply devoted to his community, and he honorably served his country during a time of great need. Ken was blessed to share more than 63 years with the love of his life, and together they witnessed their family tree blossom to include numerous branches of love ones who made him so very proud. Although Ken will be dearly missed, he leaves behind a timeless legacy that his loved ones will proudly carry on in his footsteps. It was great to be an American during the decade that we commonly recall as the Roaring Twenties. Jazz music and ballroom dancing were among the latest trends while cars that were mass produced on assembly lines nationwide really transformed the lives of American families. 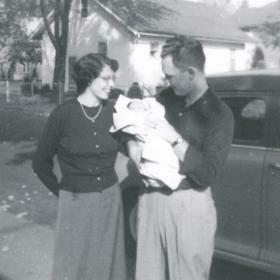 Amidst this exciting time was a time of great anticipation in the lives of Ray and Beatrice (Everhart) Pratt as they were eagerly awaiting the birth of their new baby as the beauty of spring began to unfold in Wayland, Michigan, in April of 1924. Their wait came to an end on April 24th when the baby boy they named Kenneth Ivan drew his first breath. He was the youngest of three children as he was raised in the family home in Grand Rapids alongside his siblings, Bernice May and Robert Leon.  Tragedy struck Ken’s family as his brother, Robert, died at the early age of 12. Sadly, his mother died when Ken was just 12 years old, and he then moved to Wayland to live with his loving grandmother, Kora Everhart. Ken’s father died only one year after his mother. In many ways Ken was a typical young boy of his generation. He attended local schools and also played football, basketball, and baseball at Wayland High School. 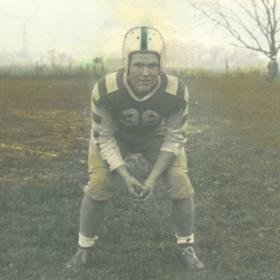 Ken earned 11 varsity letters, was class president, and was also given the citizenship award at graduation. After graduating from high school, Ken went on to Western Michigan University where he earned his bachelor of science degree in commercial art. He also played football for one to two years while in college. In addition, he worked at Budd’s Jewelry Store while in college. Ken enlisted in the Army Air Corps and served during WWII from 1943 through 1946 and was trained as a fighter pilot who stayed stateside. There was never anything of greater importance to Ken than his loved ones. He was blessed to become a father to his three children including Mark, Karen, and Mike. In addition, Ken shared more than 63 years with the woman who would forever hold the key to his heart. Her name was Evelyn “Evie” Rose Allen, and they met while he was working at Budd’s Jewelry Store. She had cut through the jewelry store on her way out to lunch with some coworkers, and that was all it took. They began dating, and the couple soon found themselves deeply in love. 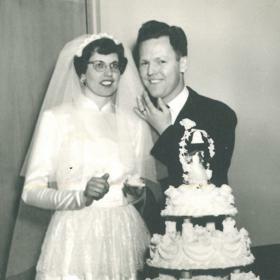 With the desire to spend the rest of their lives together the couple exchanged their vows on March 15, 1952. Ken was a family man through and through. He was an active part of his children’s lives and was there to cheer them all on for all their events and activities. This was a tradition that later continued with his grandchildren and great-grandchildren. He caught many a baseball from Mark, and he also umpped some Little League games. To support his family Ken worked as store manager at Fox’s and Budd’s Jewelry Store for many years. He loved working and interacting with the customers, and he was a great salesman. Throughout his life Ken was a man of many interests. He was always tinkering around the house and was a talented handyman. Whether he was making tables or adding a room onto the house, he could seemingly do it all. Outside Ken loved gardening and grew all kinds of vegetables like tomatoes and pole beans among others. He grew lots of apples, cherries, pears, and he also had grapevines as he was a firm believer in growing his own food. Ken was also a talented artist as he worked with carvings, drawings, and on canvas. As his family and friends can attest Ken was an avid WMU fan, and for years he had season tickets for both basketball and football. He also supported the Gary Fund. 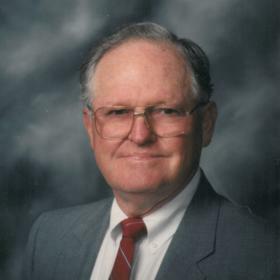 Within his community Ken was a member of the Elks and was a Westside Kiwanis Club member. He played lots of golf and also bowled at the Elks. One Friday night he took his wife's car to the Elks, but since his golf clubs were in the back of his truck he borrowed clubs from Norm McCallum. He ended up getting a hole in one, and he kept trying to get Norm to sell him the clubs, but to no avail. That hole in one ended up being the only one Ken ever got. He loved 40s and big band music, and throughout his life Ken collected jewelry and old coins. An excellent cook, Ken took over on all the cooking during their retirement years. 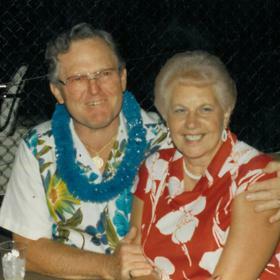 During their retirement years he and his wife also traveled some including trips to Hawaii, Alaska, and Florida. Ken was known for his great sense of humor, even if it could be a little dirty at times. All who knew Kenneth I. Pratt would agree that he was one of the most loving people around. He was independent and could even be bull headed at times, but he was one of the most generous people around. Ken loved prime rib and walleye, and there was nothing better than a manhattan in his book. He worked hard, but he played hard, too, and everything was better when he was surrounded by his family and friends. Deeply loved, Ken will be forever missed. Kenneth I. Pratt, of Parchment died on Tuesday, November 27, 2018, at Life Care Center of Plainwell. Members of his family include 3 children: Mark (Lynn) Pratt, Karen Pratt and Mike (Cheryl) Pratt; 4 grandchildren and 5 great-grandchildren; and 2 nieces and a nephew. Ken was preceded in death by a brother, Robert Pratt and sister, Bernice Heydenberk. Services will be held Thursday 1 p.m. at the Betzler Life Story Funeral Homes, 6080 Stadium Drive; Kalamazoo (269) 375-2900, with visitation beginning at 12 noon. Burial with military honors will take place at Ft. Custer National Cemetery. 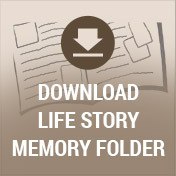 Please visit Ken’s personal memory page at www.BetzlerFuneralHome.com where you can archive a favorite memory or photo and sign his guestbook before coming to the funeral home. Memorial contributions may be made to Talons Out Honor Flight, Inc or Kalamazoo VFW Post 827.